The AirPods with the standard charging case will be available for Rs 14,900, while the earphones with wireless charging case are priced at Rs 18,900. All will be available later this spring. 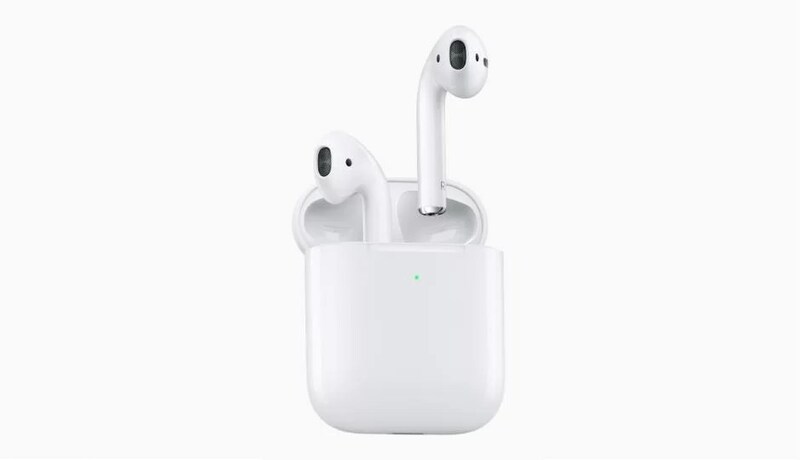 Apple has unveiled its second generation of AirPods true wireless headphones. In its press release, the company notes that the device will be available with either a standard charging case and a new wireless charging case. The AirPods with the standard charging case will be available for Rs 14,900, while the earphones with wireless charging case are priced at Rs 18,900. Buyers can also purchase the standalone wireless case for Rs 7,500. All will be available later this spring. The new AirPods come with the H1 chip, which Apple says were developed specifically for the device. The Cupertino-based company claims that the chipset offers performance efficiencies, faster connect times, more talk time, and hands-free “Hey Siri” activation. Apple notes that the new H1 chipset allows the second generation AirPods to offer up to 50% more talk time as compared to its predecessor. Further, the new earphones are also said to connect to devices twice as fast. Talking about the charging cases, both are said to offer additional charges for more than 24 hours of listening time. The wireless charging case is compatible with Qi charging solutions.